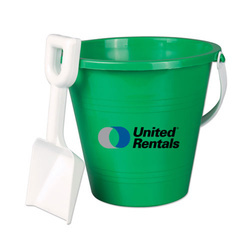 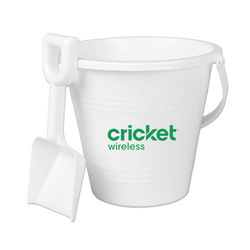 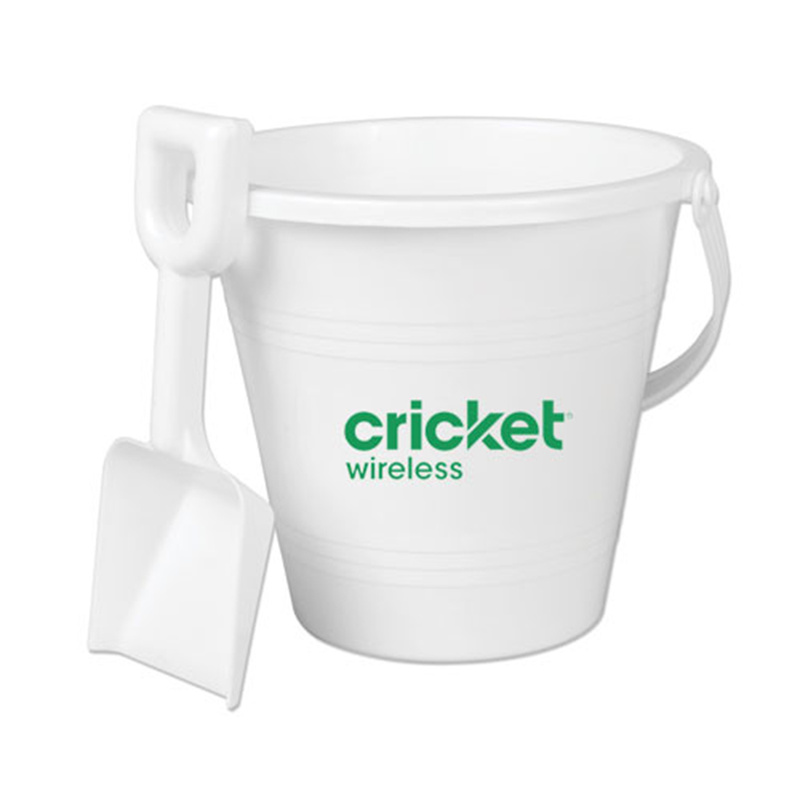 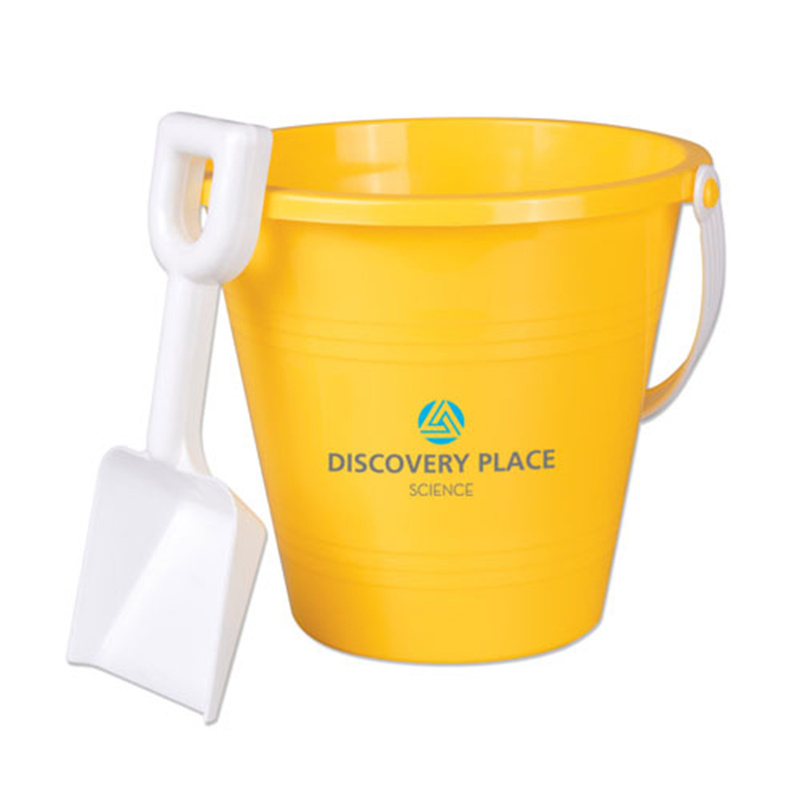 Enhance any beach vacation and add your brand with this imprinted sand pail and shovel! Measuring 6", the pail is available in your choice of blue, green, red, white and yellow and can be customized to include your name, slogan and logo for a promotional look that will get your company noticed, even at the beach. Combine it with the shovel to provide the right tools for towering sandcastles and so much more. 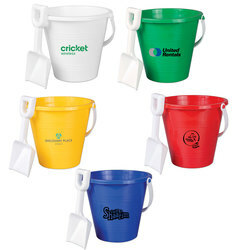 Go with a unique promotional option that recipients will love! 10 lbs. / 50 pcs.